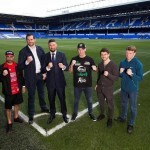 Tony Bellew has vowed to turn his dreams into reality when he takes on Ilunga Makabu for the vacant WBC World Cruiserweight title at Goodison Park – the home of his beloved Everton FC – on Sunday May 29. 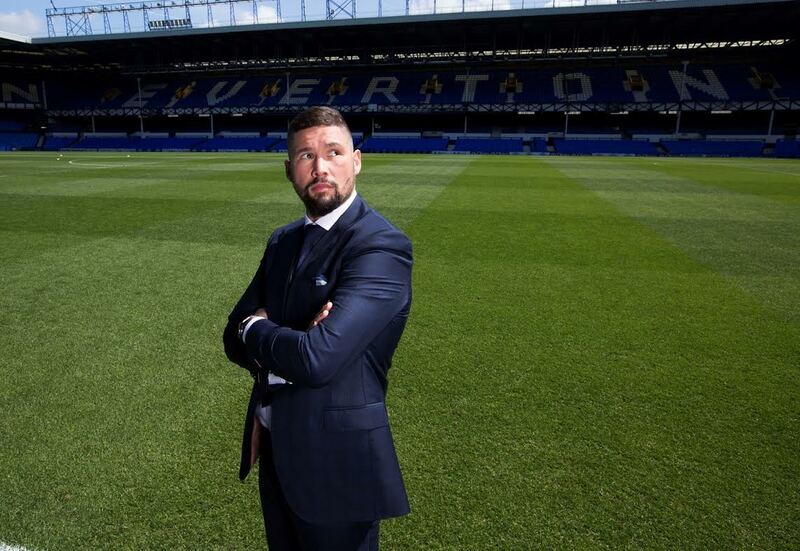 Lifelong Evertonian Bellew ‘boxed’ at the home of his club in the movie Creed where he won the World title in the last scene of the film, and gets the chance to make Hollywood come alive against the dangerous Congolese puncher. 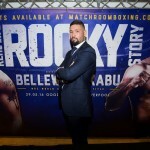 All but one of Makabu’s 19 wins have come inside the distance, but Bellew has vowed to make it third time lucky in World title fights and says he cannot lose with the whole city behind him. 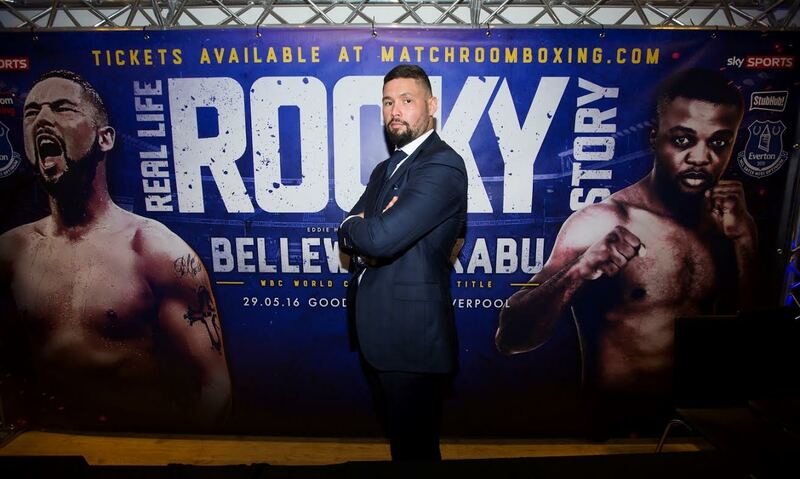 “It’s all on me now,” said Bellew. 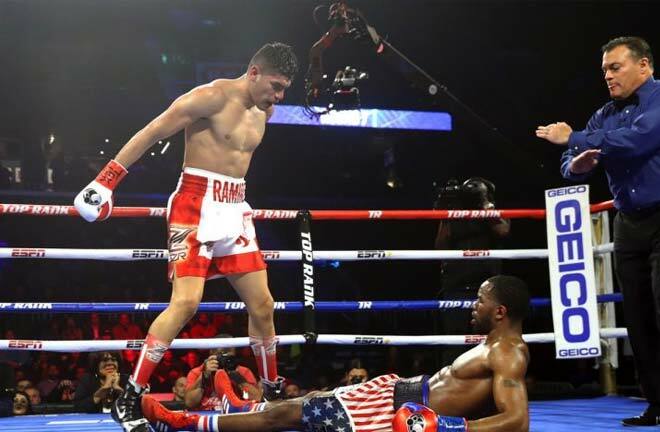 “I bugged Eddie Hearn for six months to get a World title fight and it was tough. People were pulling out of fights against me and I boxed Mateusz Masternak instead, a fight that I didn’t need to take but wanted to do it to prove I was a legitimate World level Cruiserweight. “There’s been so much done behind the scenes and when we sat down for the event, we looked at June 4 but we couldn’t do it. The only date available was May 29 – my son’s eighth birthday – and I said ‘we can do it Bank Holiday Sunday, this city comes alive on Bank Holiday’s’. 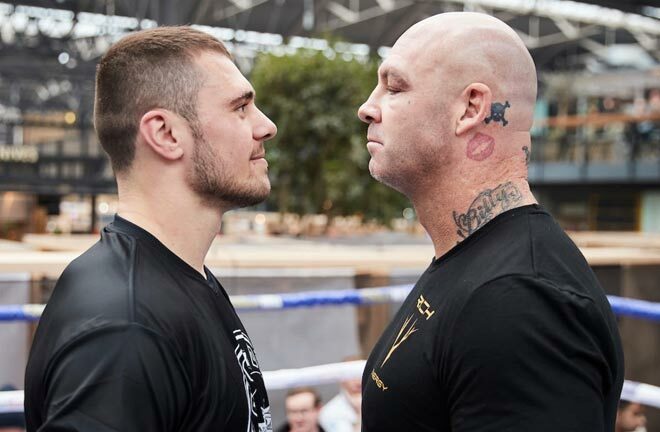 “I’m a Scouser and a mad Evertonian – I don’t care how good he is, I don’t care how hard he hits, I am going to become WBC World Cruiserweight champion in front of thousands of Scousers and nothing will stop me. Creed has done something nuts to me, it’s created a whirlwind and this is where it’s taken me – it’s unbelievable. 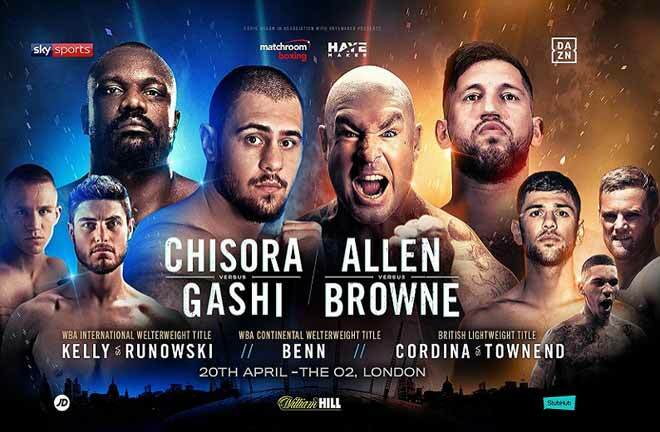 Bellew’s title bout with Makabu is part of a night of action on Merseyside as Stephen Smith gets the chance to bounce back from his IBF World title challenge in Connecticut as he fights for the vacant WBC Silver title. Merseyside Heavyweight favorite David Price is back in action and there’s a host of local talents getting a huge opportunity to impress in JJ Metcalfe, Ged Carroll, Steve Brogan, Craig Glover and Scott Fitzgerald. Stephen Smith: It’s great to be coming straight back in. 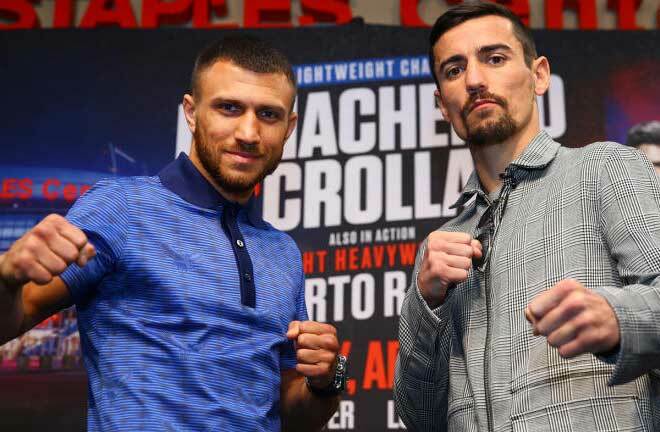 My confidence is good, I think I showed against Pedraza that I belong at Wold level, so the aim is to get a good ranking in the WBC and then get into line for another go at achieving my dream of winning a World title. I didn’t want to spend too long just in the gym, I wanted to get right back into competitive action and after 12 good rounds against a very good World champion, and I want to show that I’ve learnt from the experience of my first World title shot. David Price: I would’ve preferred Anfield! 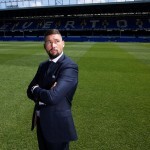 I had dreams for years of that, but the way my career has gone I’m now at Goodison! Football aside – it’s a great event for the city, Tony and I have talked about the ringwalk music, he doesn’t want me to walk out to ‘You’ll Never Walk Alone’ but I want to! We’ll get to the bottom of that but boxing wise, it’s a new start for me with a new trainer, the times I’ve slipped up have been on the receiving end of a man on a banned substance, so this is a new start for me. Sean ‘Masher’ Dodd: it’s given me a life I’ve never had so I am so grateful. 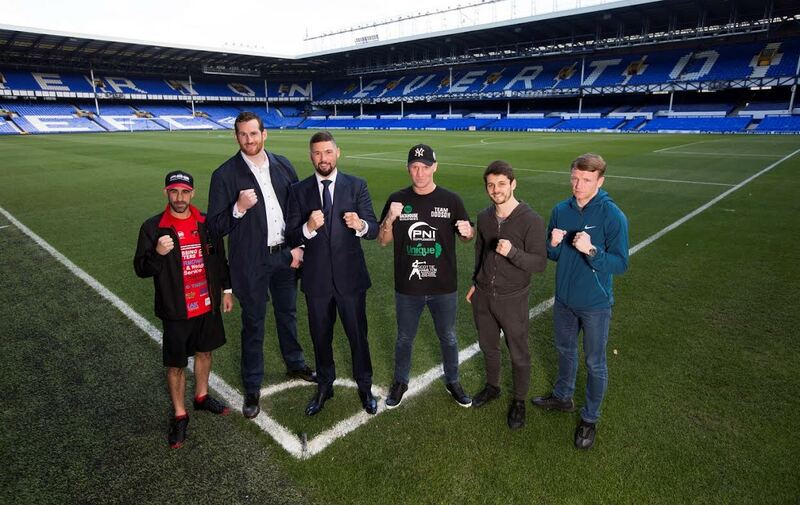 My dream is fighting at Tranmere, but fighting at Goodison on a Tony Bellew undercard is pretty close, and I’m rubbing shoulders with Liverpool legends on this bill and that’s unreal for me. I’ve been ticking over in training and I feel good, I’m hungry and ready to rise up to Di Silvio’s level and win the title. I think that I’ve grown as a fighter over the last three fights and I’ve taken to the proper pro lifestyle and I think I will prove that on May 29. Hosea Burton: Tony Dodson is the man that everyone knows even though I am the champ, he’s very experienced by I believe that it’s a fight I can win and win comfortably. Tony Dodson: This is a great chance for me– thanks to Eddie Hearn and Hosea Burton for the opportunity; it’s my chance to shine. I‘ve under achieved but everything that I’ve gone through has led to this moment and I believe that it’s going to be my night. Tom Farrell: The chance to fight at a place where I’ve sat in the stands for years is unreal. 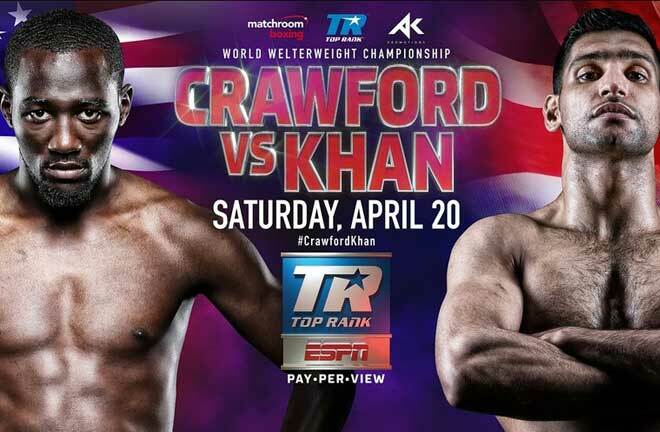 I’ll have to keep my emotions in check in a really tough fight, KY is a good fighter and has the edge in experienced, but it’s a great chance for me to impress on the big stage. Kofi Yates: I won’t have any pressure in this fight, I’ve boxed everywhere and in people’s backyards, we’ll put on a good fight for sure.